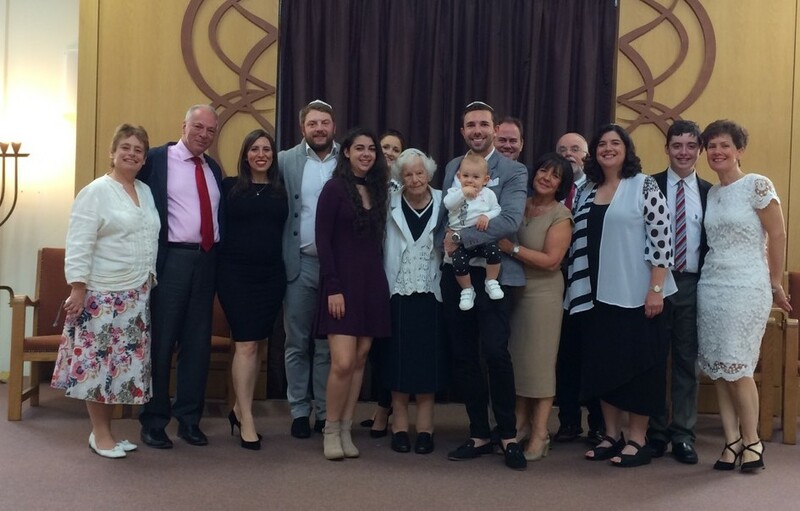 Birmingham Progressive Synagogue (BPS) member and Holocaust survivor Ruth Shire read from the Torah for the first time, at the age of 96, in front of a packed BPS sanctuary. In a moving D’var Torah, Ruth explained how she had not had the chance to learn Hebrew growing up in Nazi Germany. The service was led by Ruth’s son and daughter-in-law, Rabbis Michael Shire and Marcia Plumb, along with Birmingham’s Rabbi Dr Margaret Jacobi. Ruth’s grandchildren read her a specially written blessing on the Bimah. The Shul was full to celebrate Ruth, who has been a member of the congregation for about 70 years. Ruth – pictured with her children, grandchildren, great-grandchildren and wider family – has been a member of BPS for 70 years.